Acid erosion: Whether it’s from drinking too much soda, you suffer from acid reflux or something else, acid can slowly eat away at the enamel, weakening the tooth and making it more susceptible to bacteria and sensitivity to hot and cold food and beverages. Trauma: In cases where your mouth receives a blunt trauma, it could create severe problems that cannot be salvaged. 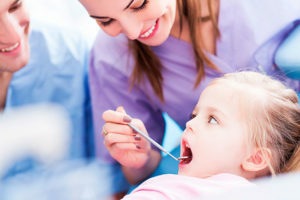 If that is the case then you may need teeth to be extracted rather than just fixed. Decay: If you experience diminished amounts of fluoride, smoke, have cavities or other issues including bacterial infection; the problem might be so bad that extraction is the only option. Rather than letting the problem get worse or spread to other teeth, your dentist may recommend removal and oral surgery options. Experienced team: Why is experience so important? When you are doing any dental procedure whether its implants, cleanings, whitening, gum treatment, root canals, full mouth rehabilitations or something else, you need to know that the team you choose is going to do a great job. That’s why we show you our track record and experience in the field with thousands of satisfied customers. Proven methods: While we are confident in the treatment options we offer, that doesn’t mean we are not open to trying new things. The dental field is constantly seeing new products and options to make things easier on the patient. We are happy to examine each new option but we will not offer anything to our patients unless it is proven to work and guarantees customer satisfaction. Show you a better way: Regardless of your reason for visiting us, we want you to leave with a healthier mouth and then also make sure that you are maintaining your newly improved oral health as long as possible. That’s why we teach and encourage the development of healthy oral habits including how to properly brush your teeth, flossing and which household products are the best for you.